Lee Strobel interviews philosopher and scholar Antony Flew on his conversion from atheism to deism. Much of it has to do with intelligent design. Flew was considered one of the most influential and important thinker for atheism during his time before his death (he’s a much better thinker than Richard Dawkins too – even when he was an atheist). His conversion to God-belief has caused an uproar among atheists. They have done all they can to lessen the impact of his famous conversion by shamelessly suggesting he’s too old, senile and mentally deranged to understand logic and science anymore. During the 1990′s I actually made it a practice to write famous atheists and scientists that were mentioned by Adrian Rogers and Francis Schaeffer and challenge them with the evidence for the Bible’s historicity and the claims of the gospel. Usually I would send them a cassette tape of Adrian Rogers’ messages “6 reasons I know the Bible is True,” “The Final Judgement,” “Who is Jesus?” and the message by Bill Elliff, “How to get a pure heart.” I would also send them printed material from the works of Francis Schaeffer and a personal apologetic letter from me addressing some of the issues in their work. 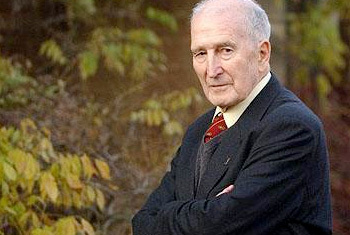 The famous atheist Antony Flew was actually took the time to listen to several of these messages and he wrote me back in the mid 1990′s several times. Gary Habermas does a great job below of quoting Flew’s own words and documenting the reasons Flew left atheism. There Is a God: How the World’s Most Notorious Atheist Changed His Mind. By Antony Flew and Roy Abraham Varghese. New York: HarperCollins, 2007. 256 pages. $24.95. When preeminent philosophical atheist Antony Flew announced in 2004 that he had come to believe in God’s existence and was probably best considered a deist, the reaction from both believers and skeptics was “off the chart.” Few religious stories had this sort of appeal and impact, across the spectrum, both popular as well as theoretical. No recent change of mind has received this much attention. Flew responded by protesting that his story really did not deserve this much interest. But as he explained repeatedly, he simply had to go where the evidence led. It was this last sentence, repeated often in interviews, that really interested me. Having known Tony well over more than twenty years, I had heard him repeat many things like it, as well as other comments that might be termed “open minded.” He had insisted that he was open to God’s existence, to special revelation, to miracles, to an afterlife, or to David Hume being in error on this or that particular point. To be truthful, I tended to set aside his comments, thinking that while they were made honestly, perhaps Tony still was not as open as he had thought. Then very early in 2003 Tony indicated to me that he was considering theism, backing off a few weeks later and saying that he remained an atheist with “big questions.” One year later, in January 2004, Tony told me that he had indeed become a theist, just as quickly adding, however, that he was “not the revelatory kind” of believer. That was when I heard him say for the first time that he was just following where the evidence led. Then I remembered all the earlier occasions when he had insisted that he was not objecting to God or the supernatural realm on a priori grounds. I was amazed. Tony was indeed willing to consider the evidence! There was an immediate outcry from many in the skeptical community. Perhaps Tony Flew was simply too old, or had not kept up on the relevant literature. The presumption seemed to be that, if he had been doing so, then he would not have experienced such a change of mind. One joke quipped that, at his advanced age, maybe he was just hedging his bets in favor of an afterlife! In his introduction to this same text, Flew both raised at least a half-dozen new issues since his book had first appeared in 1966, as well as mentioning questions about each of these subjects. Included were discussions on contemporary cosmology, fine-tuning arguments, some thoughts regarding Darwin’s work, reflections on Aristotle’s view of God, as well as Richard Swinburne’s many volumes on God and Christian theism. Hints of theism were interspersed alongside some tough questions. Of course, book text must be completed well before the actual date of publication. But several news articles had appeared earlier, telling the story of what Flew referred to as his “conversion.” Early in 2005, my lengthier interview with Flew was published in Philosophia Christi. Another excellent interview was conducted by Jim Beverly, in which Flew also evaluated the influence of several major Christian philosophers. In many of these venues, Flew explained in his own words that he was chiefly persuaded to abandon atheism because of Aristotle’s writings about God and due to a number of arguments that are often associated with Intelligent Design. But his brand of theism – or better yet, deism – was not a variety that admitted special revelation, including either miracles or an afterlife. While he acknowledged most of the traditional attributes for God, he stopped short of affirming any divine involvement with humans. Along the way, Flew made several very positive comments about Christianity, and about Jesus, in particular. Jesus was a first rate moral philosopher, as well as a preeminent charismatic personality, while Paul had a brilliant philosophical mind. While rejecting miracles, Flew held that the resurrection is the best-attested miracle-claim in history. It is against this background that we turn to the latest chapter in the ongoing account of Antony Flew’s pilgrimage from ardent atheism to deism. Further clarifying his religious views, especially for those who might have thought that the initial report was too hasty, or suspected incorrect reporting, or later backtracking on Flew’s part, the former atheistic philosopher has now elucidated his position. In a new book that is due to be released before the end of the year, Flew chronicles the entire story of his professional career, from atheism to deism, including more specific reasons for his change. Along the way, several new aspects have been added. Signifying his change of view, the cover of Flew’s new book cleverly reads, “There Is No God,” but the word “No” is scribbled out and the word “A” is handwritten above it. Flew terms this work his “last will and testament,” noting that the subtitle “was not my own invention” (1). The contents are nothing short of a treasure trove of details from Flew’s life, including his family, education, publications, and interactions with many now world-famous philosophers, not to mention the long-awaited reasons for his becoming a deist. The volume begins with a preface written by Roy Varghese, followed by an introduction by Flew. Part 1, “My Denial of the Divine,” contains three chapters on Flew’s previous atheism. Varghese ends by stating that, “Flew’s position in the history of atheism transcends anything that today’s atheists have on offer” (viii). This last comment serves as an entree to two of the more interesting arguments in the book. Considering Flew’s impact in the history of modern atheism, Varghese argues initially that, “within the last hundred years, no mainstream philosopher has developed the kind of systematic, comprehensive, original, and influential exposition of atheism that is to be found in Antony Flew’s fifty years of antitheological writings” (ix). He then considers the contributions to atheism produced by well-known philosophers such as A. J. Ayer, Bertrand Russell, Jean-Paul Sartre, Albert Camus, and Martin Heidegger. Varghese finds that none of these scholars “took the step of developing book-length arguments to support their personal beliefs” (x). More recent writers are also mentioned, among them Richard Rorty, Jacques Derrida, J. L. Mackie, Paul Kurtz, and Michael Martin. While they might be said to have contributed more material on behalf of atheism, “their works did not change the agenda and framework of discussion the way Flew’s innovative publications did” (x). But Flew’s writings like “Theology and Falsification” (“the most widely reprinted philosophical publication of the last century” [vi – vii]), God and Philosophy, The Presumption of Atheism, and other publications set the philosophical tone of atheism for a generation of scholars. Along with Flew’s many other books and essays, one could hardly get through a contemporary philosophy class, especially in philosophy of religion, without being at least introduced to his theses. Varghese also raises a second crucial topic in the history of twentieth-century philosophy – Flew’s relation to logical positivism. Many works treat Flew’s ideas, especially those in “Theology and Falsification,” as a more subtle, analytic outgrowth of positivism. Sometimes it is thought that Flew attempted to refurbish a less dogmatic application of the discredited verification principle, popularized by Ayer’s Language, Truth, and Logic. However, Flew did not interpret his essay in this manner. In 1990, he explained his thinking that logical positivism made an “arrogant announcement” that sought to rule out theology and ethics in an a priori manner. The resulting discussion had often become stagnated. Flew wanted to provide an opportunity for the free discussion of religious issues: “Let the believers speak for themselves, individually and severally” (xiii – xiv). These two topics – Flew’s influence on the philosophical atheism of the second half of the twentieth century and his purpose in first presenting his essay “Theology and Falsification” – are key chapters in the life of this major British philosopher. Varghese does well to remind us of Flew’s influence. As he concludes, it is in this context that “Flew’s recent rejection of atheism was clearly a historic event” (xi). Flew then begins the remainder of the book with an introduction. Referring to his “conversion” from atheism to deism, he begins by affirming clearly that, “I now believe there is a God!” (1). As for those detractors who blamed this on Flew’s “advanced age” and spoke of a sort of “deathbed conversion,” Flew reiterates what he has said all along: he still rejects the afterlife and is not placing any “Pascalian bets” (2). In a couple stunning comments, Flew then reminds his readers that he had changed his mind on other major issues throughout his career. He states, “I was once a Marxist.” Then, more than twenty years ago, “I retracted my earlier view that all human choices are determined entirely by physical causes” (3). Part 1 (“My Denial of the Divine”) consists of three chapters, intriguingly titled, “The Creation of an Atheist,” “Where the Evidence Leads,” and “Atheism Calmly Considered.” This material is simply a delightful read, consisting of many autobiographical details regarding Flew’s career and research, along with many enjoyable as well as amusing anecdotes. In chapter 1, Flew reviews his childhood and early life. This includes detailed references to his father: an Oxford University graduate, with two years of study at Marburg University in Germany, who had become a Methodist minister very much interested in evangelism, as well as a professor of New Testament at a theological college in Cambridge. It was from his father that Tony learned, at an early age, the value of good research and of checking relevant sources before conclusions are drawn. Flew even stated in some of his atheist publications that he was never satisfied with the way that he had become an atheist – here described as a process that was accomplished “much too quickly, much too easily, and for what later seemed to me the wrong reasons.” Incredibly, he now reflects on his early theism that changed to atheism: “for nearly seventy years thereafter I never found grounds sufficient to warrant any fundamental reversal” (12 – 13). Nonetheless, it was an aspect of the problem of evil that affected Tony’s conversion to atheism. During family travels to Germany, he witnessed first hand some of the horrors of Nazi society and learned to detest “the twin evils of anti-Semitism and totalitarianism” (13 – 14). Chapter 1 also includes accounts of Flew’s basically private education at a boarding school along with his years at Oxford University, interspersed with military service during World War II, as well as his “locking horns with C. S. Lewis” at Socratic Club meetings. He was present at the famous debate between Lewis and Elizabeth Anscombe in February, 1948 (22 – 4). Flew also met his wife Annis at Oxford. For all those (including myself) who have wondered through the years about Tony’s incredible notions of ethical responsibility, he states that while he had left his father’s faith, he retained his early ethics, reflected in his treatment of Annis before their marriage (25 – 6). In Chapter 2 (“Where the Evidence Leads”), Flew reflects on his early tenure as “a hotly-energetic left-wing socialist” (33), and narrates his early philosophical interests: parapsychology, Darwinian social ethics and the notion of evolutionary progress, problems with idealism, and analytic philosophy. More details on the Socratic Club introduce some of the philosophical reactions to Flew’s “Theology and Falsification,” along with his writing of his epic God and Philosophy, his “systematic argument for atheism” (49). Flew discusses reactions from Richard Swinburne, J. L. Mackie, and Frederick Copleston. His conclusion today, as Tony has told me on several occasions, is that God and Philosophy is “a historical relic,” due to changes in his thinking which arose from other’s response to his writing. These changes are set forth in this volume (52). Flew also discusses in chapter 2 his well-known volumes The Presumption of Atheism and Hume’s Philosophy of Belief. Philosophical reactions are recounted from Anthony Kenny, Kai Nielson, Ralph McInerny, and especially Alvin Plantinga, whose thoughts Flew calls, “By far, the headiest challenge to the argument” of the former volume (55). The chapter concludes with Flew’s changes of mind regarding some of Hume’s ideas, plus his holding and then abandoning compatibilism (56 – 64). Ending his section on his atheism, Flew’s third chapter is “Atheism Calmly Considered.” Here he notes a number of his debates and dialogues over the years, both public and written, with Thomas Warren, William Lane Craig, Terry Miethe, Richard Swinburne, Richard Dawkins, and myself. Two conferences are also mentioned. The first (“The Shootout at the O.K. Corral”) occurred in Dallas, Texas, in 1985 and featured four prominent atheistic philosophers, playfully called “gunslingers” (Flew, Paul Kurtz, Wallace Matson, and Kai Nielson) dueling with four equally prominent theistic philosophers (Alvin Plantinga, Ralph McInerny, George Mavrodes, and William Alston). The second conference at New York University in 2004 notably included Scottish philosopher John Haldane and Israeli physicist Gerald Schroeder. Here Flew stunned the participants by announcing that he had come to believe in God (74). The second half of the book consists of the long-awaited reasons for Flew’s conversion to deism, titled “My Discovery of the Divine.” It includes seven chapters on Flew’s religious pilgrimage, along with the nature of the universe and life. Two appendices complete the volume. “A Pilgrimage of Reason” (chapter 4), is the initial contribution to this section. In this essay, Flew chiefly makes the crucial point that his approach to God’s existence has been philosophical, not scientific. As he notes, “My critics responded by triumphantly announcing that I had not read a particular paper in a scientific journal or followed a brand-new development relating to abiogenesis.” But in so doing, “they missed the whole point.” Flew’s conversion was due to philosophical arguments, not scientific ones: “To think at this level is to think as a philosopher. And, at the risk of sounding immodest, I must say that this is properly the job of philosophers, not of the scientists as scientists” (90). Thus, if scientists want to get into the fray, they “will have to stand on their own two philosophical feet” (90). Similarly, “a scientist who speaks as a philosopher will have to furnish a philosophical case. As Albert Einstein himself said, “?The man of science is a poor philosopher'” (91). Flew ends the chapter by pointing out that it is Aristotle who most exemplifies his search: “I was persuaded above all by the philosopher David Conway’s argument for God’s existence” drawn from “the God of Aristotle” (92). The fifth chapter, “Who Wrote the Laws of Nature?” discusses the views of many major scientists, including Einstein and Hawking, along with philosophers like Swinburne and Plantinga, to argue that there is a connection between the laws of nature and the “Mind of God” (103). Flew thinks that this is still a philosophical discussion. As Paul Davies asserted in his Templeton address, “science can proceed only if the scientist adopts an essentially theological worldview,” because, “even the most atheistic scientist accepts as an act of faith the existence of a lawlike order in nature that is at least in part comprehensible to us” (107). The existence of these laws must be explained. Flew concludes that many contemporary thinkers “propound a vision of reality that emerges from the conceptual heart of modern science and imposes itself on the rational mind. It is a vision that I personally find compelling and irrefutable” (112). Chapter 6 (“Did the Universe Know We Were Coming?”) discusses fine-tuning arguments and the multiverse option as another angle on the laws of nature. Among the opponents of the multiverse option, Flew lists Davies, Swinburne, and himself, in part because it simply extends the questions of life and nature’s laws (119). Regardless, Flew concludes, “So multiverse or not, we still have to come to terms with the origins of the laws of nature. And the only viable explanation here is the divine Mind” (121). Chapter 7 (“How Did Life Go Live?”) continues what Flew insists is a philosophical rather than a scientific discussion of items that are relevant to God’s existence. He discusses at least three chief issues: how there can be fully materialistic explanations for the emergence of life, the problem of reproduction at the very beginning, and DNA. Although science has not concluded these matters either, they are answering questions that are different from the philosophical issues that Flew is addressing (129). Flew concludes by agreeing with George Wald that, “The only satisfactory explanation for the origin of such ?end-directed, self replicating’ life as we see on earth is an infinitely intelligent Mind” (132). In the title of chapter 8, Flew asks, “Did Something Come from Nothing?” In spite of our twenty years of friendship, I was still not prepared to see Tony developing and defending a cosmological argument for God’s existence! In an essay published back in 1994, Flew had raised questions about David Hume’s philosophy and its inability to explain causation or the laws of nature (139). Then, works by philosophers David Conway and Richard Swinburne convinced him that Hume could be answered on the cosmological argument, as well. Buoyed by these refutations of Hume, Flew was now free to explore the relation between a cosmological argument for God’s existence and recent discussions regarding the beginning of the universe. Flew concludes that, “Richard Swinburne’s cosmological argument provides a very promising explanation, probably the finally right one” (145). In chapter 9, “Finding Space for God,” Flew begins with his long-time objection to God, that a concept of “an incorporeal omnipresent Spirit” is incoherent – something analogous to talking about a “person without a body” (148). But through the 1980s and 1990s, theistic philosophers in the analytic tradition enjoyed a renaissance. Two of these, David Tracy and Brian Leftow (who succeeded Swinburne at Oxford), answered Flew’s questions. Flew now concedes that the concept of an omnipresent Spirit outside space and time is not intrinsically incoherent (153 – 4). In “Open to Omnipotence” (chapter 10), Flew summarizes that his case for God’s existence centers on three philosophical items – the origin of the laws of nature, the organization of life, and the origin of life. What about the problem of evil? Flew states that this a separate question, but he had two chief options – an Aristotelian God who does not interfere in the world or the free-will defense. He prefers the former, especially since he thinks the latter relies on special revelation (156). Closing the main portion of the book with some further shocking comments, Flew states, “I am entirely open to learning more about the divine Reality,” including “whether the Divine has revealed itself in human history” (156 – 7). The reason: Everything but the logically impossible is “open to omnipotence” (157). Further, “As I have said more than once, no other religion enjoys anything like the combination of a charismatic figure like Jesus and a first-class intellectual like St. Paul. If you’re wanting omnipotence to set up a religion, it seems to me that this is the one to beat!” (157; see also 185 – 6). He ends the chapter a few sentences later: “Some claim to have made contact with this Mind. I have not – yet. But who knows what could happen next? Some day I might hear a Voice that says, ?Can you hear me now? '” (158). Two appendices close the book. The first is an evaluation of the “New Atheism” of writers like Richard Dawkins, Daniel Dennett, and Sam Harris. The author of the first appendix, Roy Varghese, argues that “five phenomena are evident in our immediate experience that can only be explained in terms of the existence of God” (161). These five are rationality, life, consciousness, conceptual thought, and the human self, each of which is discussed. Varghese concludes that by arguing from “everyday experience” we are able to “become immediately aware that the world of living, conscious, thinking beings has to originate in a living Source, a Mind” (183). The second appendix is an essay on the self-revelation of God, written by New Testament theologian N. T. Wright, with brief responses by Flew. Wright argues very succinctly that Jesus existed, was God incarnate, and rose from the dead (187 – 213). Flew precedes this treatment by commenting that though he does not believe the miracle of the resurrection, it “is more impressive than any by the religious competition” (186 – 7). Flew’s final reflection on Wright’s material is that it is an impressive argument – “absolutely wonderful, absolutely radical, and very powerful.” In the end, Flew remains open to divine revelation, since omnipotence could act in such a manner (213). As I have indicated, Flew’s new book was a delightful read. This especially applies to the many autobiographical details. The intersection of his life with some of the best-known philosophers in the previous half century was nothing short of exhilarating. It will be no surprise to anyone who has followed my published debates or dialogues with Tony that the clarification found in this volume was more than welcome. For one thing, many of his comments here were also made in our published dialogue in Philosophia Christi. Most of all, this book should clear up the rumors as to the nature of Tony’s “conversion.” He indeed believes in God, and while from the beginning rejecting special revelation along with any religious affiliation, his view of God’s nature is otherwise quite robust. Indeed, his deism includes most of the classical theological attributes. Further, Flew is also clear several times that he is open to special revelation. As Tony told me just recently, he “won’t shut the door” to the possibility of such revelation or even to hearing a word from the Deity. Of course, I predict that various skeptics will still have profound problems with the book’s content. They will not be satisfied with its proclamations. I can only imagine the nature of the complaints. If I am right about this, it may even confirm further Varghese’s charge of the vociferous nature of this community’s response to the original announcement (viii). If Varghese is also correct that Flew had produced the most vigorous defense of philosophical atheism in the last century, a guess is that some skeptics are still stung by the loss of their most prominent philosophical supporter. I would like to have seen further clarification on a few issues in the book. For instance, it would have been very helpful if Tony had explained the precise sense in which he thought that “Theology and Falsification” was an attempt to curtail the growth of positivism. That has remained unclear to me. I, too, was taught that the article was a defense of an analytic position that only softened the force of the positivistic challenge. Another potential question surrounds Tony’s excellent distinction between giving philosophical as opposed to scientific reasons for his belief in God. However, a discussion or chart that maps out the differences between the two methodological stances would have been very helpful. Philosophers are used to these distinctions. But I am sure that others will think that Tony is still providing two sorts of arguments for God: Aristotle plus scientific arguments like Intelligent Design scenarios. As Tony has said several times in recent years, he remains open to the possibility of special revelation, miracles like Jesus’s resurrection, and the afterlife. In this volume he also continues to be very complimentary towards these options. I cannot pursue further this topic here. While mentioning evil and suffering, I did wonder about Tony’s juxtaposition of choosing either Aristotle’s deism or the free-will defense, which he thinks “depends on the prior acceptance of a framework of divine revelation” (156). It seems to me that the free-will defense neither asks nor requires any such revelatory commitment. So I think that it could be pursued by a deist, too. If so, that is one more potential defeater to the evil and suffering issue. I will leave it here for now. The Bible maintains several characteristics that prove it is from God. One of those is the fact that the Bible is accurate in every one of its details. The field of archaeology brings to light this amazing accuracy. Many people have questioned the accuracy of the Bible, but I have posted many videos and articles with evidence pointing out that the Bible has many pieces of evidence from archaeology supporting the view that the Bible is historically accurate. Take a look at the video above and below. Open letter to President Obama (Part 393) Adrian Rogers: Is It Too Late For America?